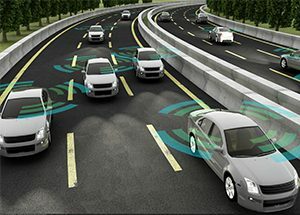 Wirelessly connected cars have the power to make our roads safer. Qualcomm, Panasonic, and Ford did a recent demonstration on a new technology called “cellular vehicle-to-everything” or C-V2X. This technology allows vehicles to communicate with the driver, other cars and their environment in real-time. A vehicle with C-2VX technology could warn the driver of an oncoming car around a bend if the next traffic light were turning, or give a pedestrian alert if someone crossed the street. As phase two, this technology has the potential to communicate with the vehicle’s computer where the car would have an automated emergency-response and brake for you. The C-V2X technology has the potential to reduce 80% of motor vehicle accidents. According to Qualcomm’s Jason Ellis, you could be driving a C-V2X vehicle as early as next year. Ford favors C-V2X over other vehicle-to-vehicle communication on the market, however, does not have a timeline on deployment yet.